PJB series inductors pass typical vibration testing to 80 G and shock testing to 1000 G.
PTA series inductors feature flat wire construction to provide low DCR and high current capability. PHA series are power chip inductors that offer high current capability and a small footprint. PJD and PND coupled inductors are perfect for SEPIC applications. 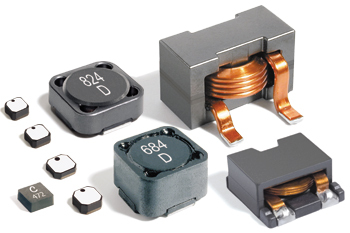 PKA series inductors have high inductance with tight tolerances.